1. The Irish Ice Hockey Association (IIHA) fully respects your rights to privacy and we are committed to strict adherence to General Data Protection Regulations (GDPR), which become fully effective on 25 May 2018 as well as the provisions of the Data Protection Act 2018. 2. The Irish Ice Hockey Association was established in 1996. The IIHA is the official NGB of Ice Hockey in Ireland. The IIHA is a not for profit organisation. The IIHA is a full member with both the (IIHF) International Ice Hockey Federation and (OCI) Olympic Council of Ireland. The IIHA was accepted as a member of Sport Ireland in 2016 and will be working closely with them over the coming years in order to develop the sport of ice hockey in Ireland. The IIHA operates on a democratic basis and follows the guidelines set down in its Constitution. 4. This Privacy Statement sets out how the Irish Ice Hockey Association uses and processes any information that you give to us. We respect your privacy and are committed to protecting your personal information. This Privacy Statement explains how we collect, process and use your data and sets out our security practices. 5. We collect Personally Identifiable Information (PII) that you provide to us, which is information that identifies you as an individual. We only do this when you have provided us with the information and you have given your consent that we can use it in your interest for the purposes set out in this Privacy Statement. The Irish Ice Hockey Association uses the Azolve Go Membership platform to manage all of it membership information. This PII may include your name, address, email address, contact number, gender, loginID, club name, IIHA licences (Senior, Junior, Official/Referee, Non Playing), Course Bookings, IIHA Qualifications, IIHA Accredited Certificates, Child Protection Certificates, licence and course payments (No financial information, e.g. credit card details, are retained by the IIHA) and enquiries via Go Membership. 6. 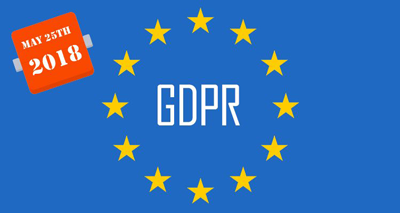 Any personal data you provide will be used for the purpose for which you supply it and will be treated with the highest standards of security and confidentiality, strictly in accordance with General Data Protection Regulations. The Irish Ice Hockey Association collects and uses your Personal Information (PI) in order to manage your Association membership, club, licences and information. Your information will only be used by the Association as outlined below. f. to identify the status of licences, awards, certifications, qualifications, Garda (Police) vetting, child protection and first aid. 8. The legal basis for processing your personal information is that you have explicitly given your consent to us. This consent is be given at the time of initially seeking membership via the Go Membership Portal. 9. The Irish Ice Hockey Association (IIHA) intend to hold your personal data for 7 years from the date you have given consent to us to use it on your behalf (The date of initial registration on the Azolve Go Membership Platform). Each individual has the right to withdraw their consent and have their personal information erased at any time. 16. All of the above requests can be directed to the Irish Ice Hockey Association contact point listed in this Statement. They will be forwarded on should there be a third party involved in the processing of your personal data. 19. The Irish Ice Hockey Association will take appropriate legal, organisational, and technical measures to protect your personal information. When the Irish Ice Hockey Association uses a third-party service provider, that provider will be carefully selected and will be contractually required to use appropriate measures to protect the confidentiality and security of personal information. 20. The Irish Ice Hockey Association takes its obligations very seriously and adopts the strongest line in relation to the misuse of customer information by any of its staff. Any breach of trust regarding the confidentiality of information is treated as serious misconduct under the Association Disciplinary Code and can lead to sanctions up to and including dismissal. a. To provide you with an efficient membership service, your information is hosted by Azolve Limited, through the use of the GoMembership portal. Azolve Limited may not use that information for any purpose other than assisting the Association in providing you with GoMembership services. Any contact information that you provide through our system will not be sold/ rented/leased to any third party for selling or marketing to you. b. We require Azolve Limited to provide such support services that meet the same standards of data protection as our own. Azolve Limited are prohibited from using the information for their own purposes. We do not allow any other organisations to access your PI. c. Where the Irish Ice Hockey Association transfers your data to countries outside of the EEA , (European Economic Area), the Irish Ice Hockey Association ensures that the third parties have an adequate level of data protection and adhere to GDPR. (1) Our websites and mobile applications may use technology called “cookies.” A cookie is a small text file that is placed on your hard disk by a server. Cookies allow our websites and mobile applications to respond to you as an individual. The website or mobile application can tailor its operations to your needs, likes and dislikes by gathering and remembering information about your preferences. (2) You can choose to accept or decline cookies. Most web browsers automatically accept cookies, but you can usually modify your browser setting to decline cookies or receive a warning before a cookie is stored if you prefer. Please refer to your Internet browser’s instructions or help screen to learn more about these functions and to specify your cookie preferences. (3) If you choose to decline cookies, you may not be able to fully experience the interactive features of our website. (3) the use that others make of these websites. (4) Please ensure you check the legal and privacy statements posted on each website or mobile application you access before entering any PII. a. We may occasionally update this Privacy Statement. If the changes we make are material, we also may post a notice regarding the changes on our website (www.iiha.org). We encourage you to periodically review this Privacy Statement to stay informed about how we are helping to protect the PII we collect. In order to review our Opt Ins please visit the Association Membership Go Membership portal (iiha.azolve.com).